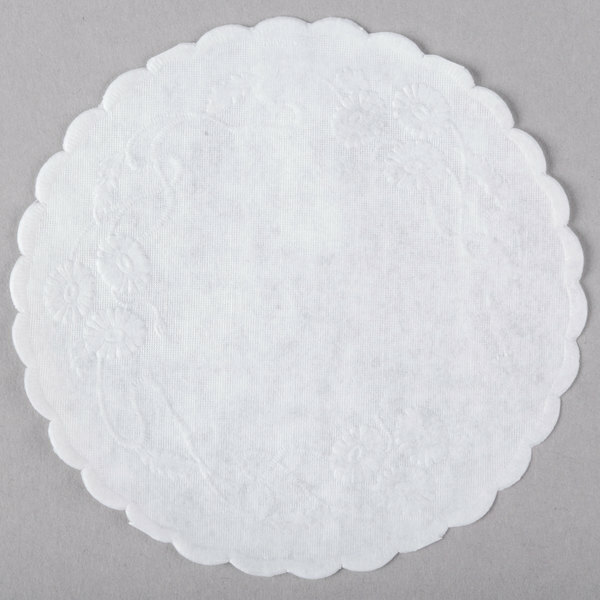 Create a beautiful and engaging presentation in your restaurant or hotel with these 4" white floral linen paper doilies! Great for adding an extra visual dimension to your table settings, the linen doilies can be placed under plates or in self-service areas. You can even add it to the center of tables to create a great centerpiece! 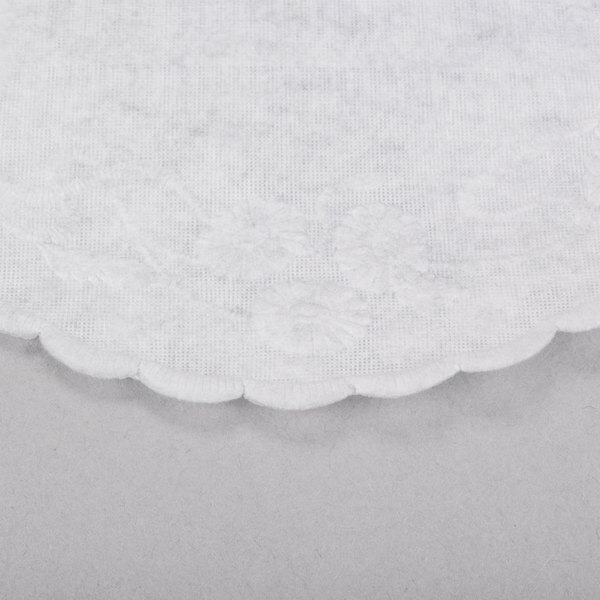 Made of durable, linen-feel paper, these linen doilies are both useful and attractive. 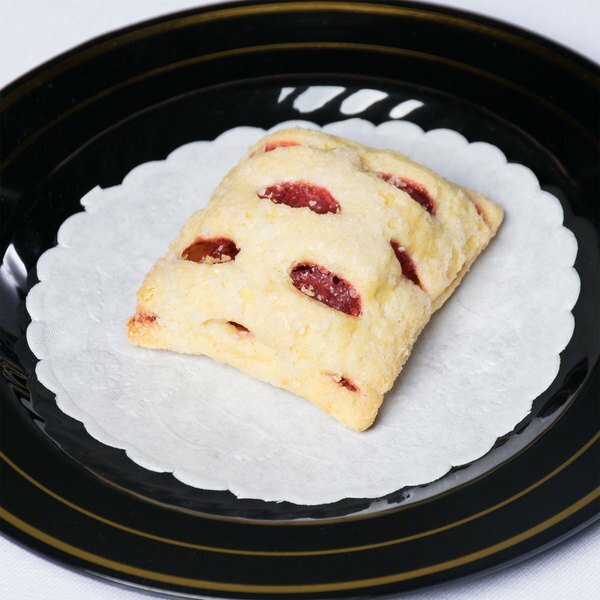 While they provide a sophisticated appearance, they also help to catch spills and drips before they come in contact with your tables or tablecloths. Place these floral doilies underneath your baked goods or desserts for an elegant, professional display! These doilies are a bargain! They are very handy for my homemade chocolates, but I also use them for small bites that I don't necessarily need to use a plate for. Excellent quality and also very nice, they help that the glass of the drink does not deteriorate the tables besides that looks cute. I will buy it very often. It has a beautiful design and economical. I bought it not too long ago and I love it. I use it around the house. Definitely recommend it to everyone. These are the perfect size to put under a water glass on a bathroom vanity. They do tend to stick together a little bit in the box. I used these doilies for jumbo cupcakes that I made for my son's teachers for his last day at his current school. They made my presentation ten times better. I am so glad I found these adorable little doilies. My first use is to put them under party favor that will be placed on bread plates. I can see how this is perfect for under coffee mugs, under pastries, and even under delicacies in a display cabinet. They come stacked nicely in a flip top box. They are also easy to pull apart, not stuck together. This is a Floral linen doilies. The difference between this item and a a regular doilies is this has the feel and texture of real linen while bringing out the detail in the workmanship to add to your presentation. These are great for securing soup bowls and cups on a saucer! Good for dessert beverages too; coffee, hot chocolate, etc. Inexpensive price makes these a must have!! !